Years ago, when I volunteered at a Soup Kitchen I witnessed many parents coming to the side door of the kitchen requesting a complete cake. It was their child's birthday and they could not afford a birthday cake for their kids. I decided that I was going to do something about this, in whatever small way I could, so I posted an ad on craigslist offering free birthday cake to anyone who wants/needs one. One person replied with worries that I would poison her. 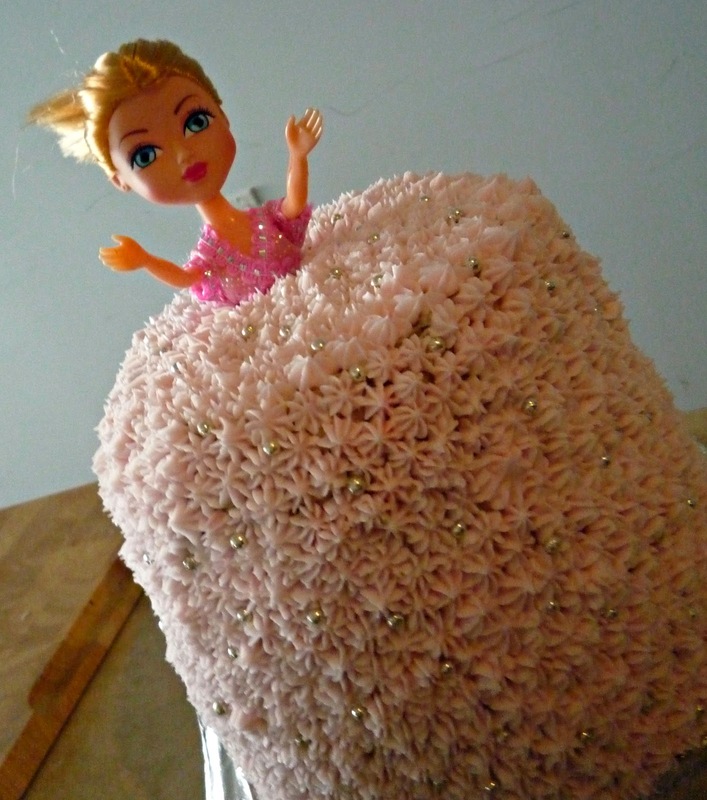 Another person replied with a request for a pink and/or barbie cake for her daughter. Sweet! I baked and decorated and ended up with this cake. It's not perfect but hopefully it made a little girl happy! I get some much needed cake decorating practice out of the exchange. Perhaps I, and my cake, even get to live in the birthday memories of a child - which is pretty cool to think about. If you are interested in a free birthday cake please email me at wingedsnail99 [at] hotmail [dot] ca. What a lovely idea. I'm not in need of a cake but I would love to be on the receiving end of such a pretty pink one :) I'm sure they'll love it! That is awesomely nice of you :) Well done!